Wolves scored their first goal since they played West Ham in March. The man whose goal got us promoted a year ago, today scored the goal that realistically kept us in the Premier League. Sylvan Ebanks-Blake’s header nine minutes from time cancelled out Ryan Nelsen‘s first half goal to send the Molineux faithful into delirium and ulitmately onto the pitch at full time.Wolves never really got their game together today but Stephen Ward‘s left wing cross was met by substitute Ebanks-Blake who headed down into the net via the post from six yards. In his post match interview with Sky Sports, Mick McCarthy wouldn’t admit Wolves were safe but I think the 5,000 or so fans on the pitch would tell you otherwise. He said: “We’re nearly there,” McCarthy told Sky Sports. “It makes it difficult now (to be relegated) as Burnley have to win all three games.“But, as the announcer kept saying, we’re not safe yet – we can’t celebrate. If the others don’t do it for us, we’ll go down to Portsmouth and then we’ve got Sunderland and we’ll try and get the points then.” Man of the match: Sylvan Ebanks-Blake – After a ‘mixed’ season Ebanks finally scored a goal from open play for Wolves. 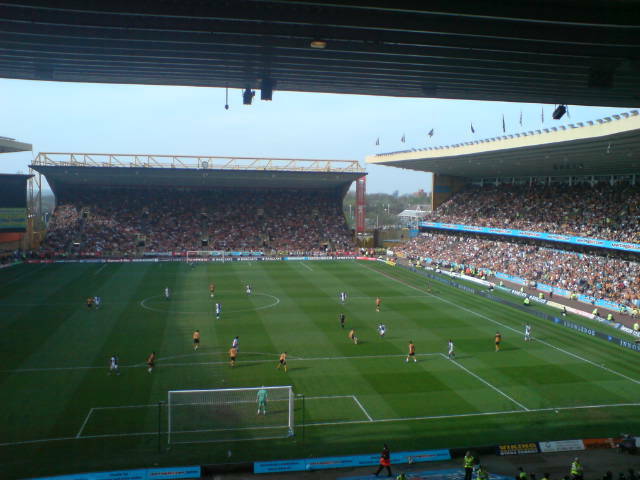 The crowd were just as happy to see a goal at Molineux. Yesssssssssssss!!! Flops of the match: The fans – I was going to give this to Stephen Ward before he set up our equaliser. Instead, i’ll give it to the fans – what a bunch of idiots. What’s the point in running onto the pitch at full time. I hate to see it when clubs do it on the telly. Fair enough if we’d won the the league but we haven’t. We’ve narrowly escaped relegation.Referee: Mark Clattenburg – replaced the scheduled appointment of Lee Probert and had an okay game. Could have given Blackburn a penalty in the first and maybe should have dismissed Morten Gamst Pedersen but the Geordie had a decent game.Tonight’s updated table will look great to Wolves fans this evening. 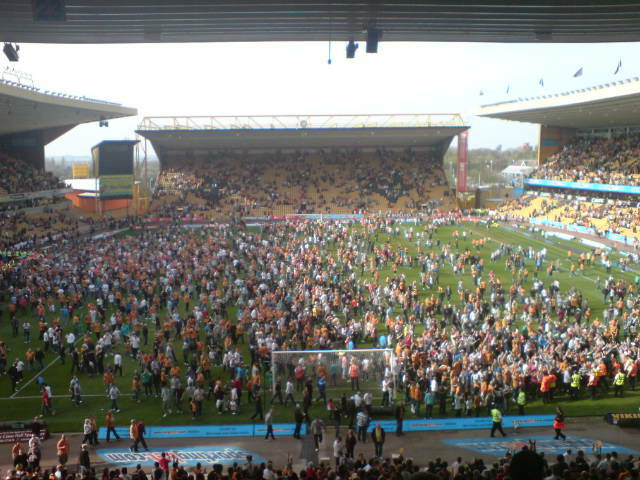 Unless Burnley win all three of their remaining games and Wolves lose both theirs, then Premier League football will return to Molineux in August. Zubar has now cemented his position as Wolves' right back. Wolves defender Ronald Zubar has admitted his relief after securing a point against Stoke City on Sunday. The Frenchman says he has never experienced a game of that nature before but thinks the team defended very well. He said: “I’ve never played in a game like that before, I couldn’t believe it! But Stoke do well and I have nothing bad to say about them at all. They work very hard and they do very well with that way of playing. “And they have got 43 points so that shows how hard they are to beat – they can’t be lucky all the time. They score goals from playing that way and it’s very difficult to defend against. “Rory Delap does very well with those throw-ins – it is more easy to defend a corner than one of his throws. The ball comes in so quickly and it changes direction in their air as well, so it’s very hard for defenders.